This new update to iBird Photo Sleuth now includes access to our ornithology experts who will help identify your bird if you want more help. The “Help Me Identify a Bird” forum has been around for 10 years and has over 100,000 members. Every now and then an app breaks out from the pack with features that are simply astonishing. iBird Photo Sleuth fits that mold; use its machine learning "brain" to identify a photograph of any bird of North America, regardless of the photo’s quality. Photo Sleuth uses Apple’s new CoreML machine learning system to figure out the species in even the most distorted, fuzzy and poor contrast photograph. The Photo Sleuth app has been “trained” by over 2 million photos of bird species to ID birds with uncanny accuracy. You can use iBird Photo Sleuth in the field -- no internet connection is required, because its CoreML database is contained in the app. Take a photo with your camera or select it from the built-in iPhone Photos gallery (Dropbox, Google Photos and OneDrive coming). Don’t worry if the bird is a tiny blob in the frame; Photo Sleuth is smart enough to find the features that distinguish it from all other 900+ bird species of North America. After you submit your photo to the Sleuth, it will give you a list of its top 3 guesses as thumbnail sized images. Each will display a “Confidence” value between 0% and 100%. When the Sleuth is really sure of its analysis, it will produce a high value; when unsure it will display a low value. If the app thinks that you have submitted a photo of something other than a bird, it will display “Not a Bird.” Of course, some people’s faces look like birds, so it may still suggest a bird species. For example, my selfie came up with “Not a Bird” for the #1 spot and the Barn Owl for #2. To help confirm the 3 guesses made by Photo Sleuth, you can tap on any of the thumbnail images to open more species details, including an enlarged illustration, text that explains important field marks and a range map that shows the migration coverage of the bird. The range map includes a range and habitat paragraph that helps confirm that the species is indeed located in your GPS area. A future update will add our “Birds Around Me” technology to further narrow the choices that Photo Sleuth guesses. On this same screen you may open a rich content species account in our iBird app (should you have it on your phone) to review much more information, including playing the bird’s songs and calls, seeing similar birds, behavior details and much more. Sharing of your results can be done two ways: you can share your photo and the Photo Sleuth guesses with your friends via Apple Messages, Email, Facebook, Twitter and all other functions such as printing, which appear on the standard Apple activity menu. There is also a button for optionally sharing your photo and the results of the Photo Sleuth guess with Mitch Waite Group, so that we can improve our neural network. Both correct and incorrect guesses help us improve the performance of the artificial intelligence. Or course, we only use the photograph for training, and the copyright remains with you. 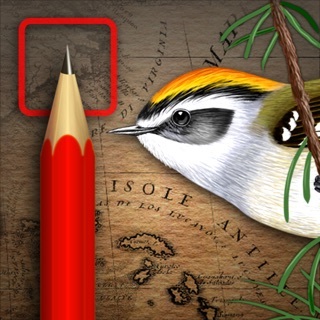 Be sure and check out our new bundle The Delighted Birder; which includes this app plus iBird Pro and iBird Hawaii-Palau. ● Free Expert Help: a forum service "Help Me Identify a Bird." Ornithologist experts will analyze your photo and tell you what species of bird it is. You can send your photo from right inside Photo Sleuth. Use it to confirm Sleuth's guess or to dispute it. ● Registration so you can sign up for our newsletter and updates to iBird Photo Sleuth. ● Compliance with GDPR Privacy regulations. 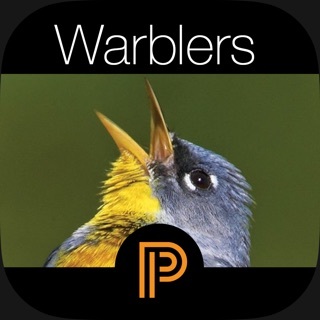 ● Be sure and check out our new bundle The Delighted Birder; which includes this app plus iBird Pro and iBird Hawaii-Palau. One of my hobbies is wildlife photography, particularly bird photography. So I generally have a photo of the birds I want to identify (sometimes a good one, sometimes a marginal one). 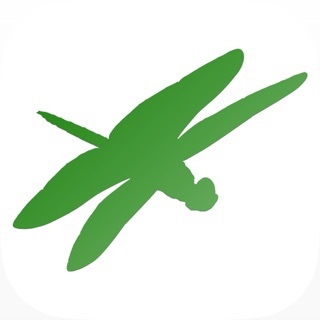 I am not an experienced birder and I have found this app very useful in making bird IDs where the bird is not one that everyone knows. For example, earlier this year I photographed some birds in a marshy area of the Minnesota Valley National Wildlife Refuge. The birds looked like largish sparrows to me, but I was not able to match them up with sparrows in my bird apps and guides. I ran a picture through iBird Photo Sleuth and found out the bird was a female red-winged blackbird. Perhaps I should have guessed this, as there were easily recognizable male red-winged blackbirds around, but I did not. I confirmed this looking in my apps and guides, including iBird, but most apps index birds by the more colorful male, so I might not have found it without the photo ID. The app has helped me identify a number of other birds, including various warblers, sparrows, and small falcons called merlins. I also use the app to confirm IDs where I am not entirely sure. I also like the fact that the app gives percentage estimates when it comes up with multiple possibilitirs. The integration with my iBird app is also quite helpful. I look forward to the continued development of the app and its possible expansion to areas outside North America. I am absolutely amazed at how accurately this identified birds from my photos. Even got one I misidentified way back and recently was told otherwise (which was an Olive-sided Flycatcher). It missed two. It missed an Empid Flycatcher but amazingly enough I had two photos of the same bird and it got it on the second try which was a much better side shot. Well, can’t complain because we all know how difficult those Empids are to identify! It also missed a photo of a dark morph Rough-legged Hawk. Thought it was a Red-tailed. Again, not complaining. A lot of people think a dark morph Roughy might be a Red-tailed and I can’t imagine how hard it is for software to figure this out. I tried all sorts of birds. In trees, in water, in flight on the ground. It got them right. I love it. I am definitely going to tell my birding friends. Now I got to try it with some lousy bird photos. But, I don’t take lousy bird photos...most of the time! At least I don’t keep lousy bird photos. Got to take some! A great app and well worth the money. My hats off to the excellent job. I was skeptical of this app since I’d already purchased a similar app that claimed to ID birds by song. It was a total failure. But this app is good. If iBird Photo Sleuth represents the future of bird identification my days as a birding expert may be numbered. I submitted a collection of difficult to identify photographs I’ve taken and was surprised at how well it worked. Out of 10 hard to identify photos it got 8 correct. I was actually relieved when it got confused telling a Chipping-Sparrow from a House Sparrow, so there’s still hope for my skills. But the app was able to identify some very poor quality photographs that stumped my buddies. A Golden-crowned Kinglet was just a fuzzy blob on a branch; it must have keyed an orange-yellow crown you can barely make out to identify it correctly. I think the price is fair, especially given the app provides range maps and good quality illustrations. As an iBird Pro owner I like that it will open that app from its own ID page. However I’d actually prefer if this was an in-app purchase for iBird instead of YAA (yet another app), as my iPhone is just too cluttered with birding apps. They ask your permission to train the AI using your photos. Given how bad the quality of the ones I submitted are, I wish them luck. Overall I’ll give this app 5 stars, mainly for the accuracy and the simplicity of the interface.